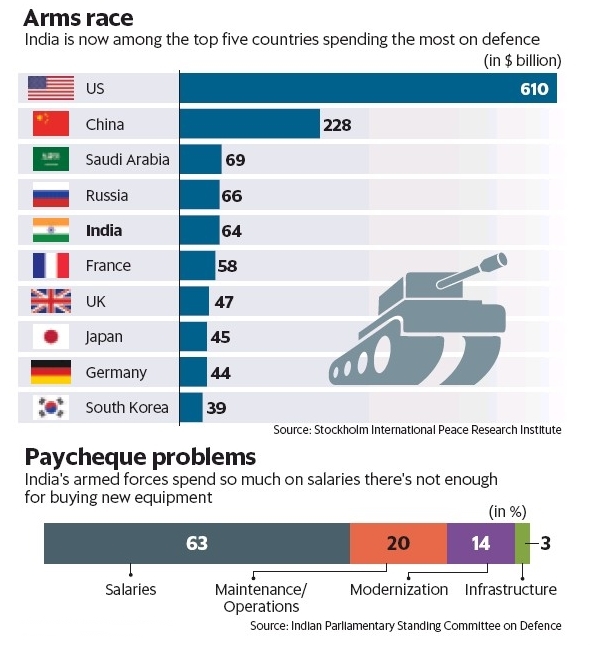 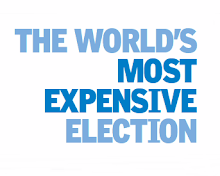 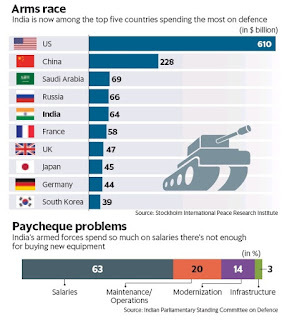 India has joined the US and China as one of the world’s five biggest military spenders, reflecting geopolitical tensions as well as the country’s reliance on imported weapons and sprawling personnel costs. 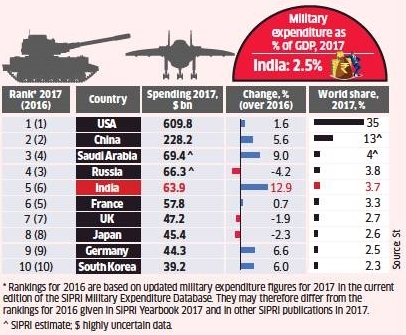 New Delhi’s defence spending rose by 5.5% to $63.9 billion in 2017 and has now passed France, the Stockholm International Peace Research Institute said in a report. 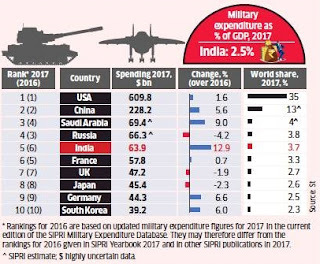 Worldwide military spending rose marginally last year to $1.73 trillion, or roughly 2.2% of global gross domestic product, the group said.